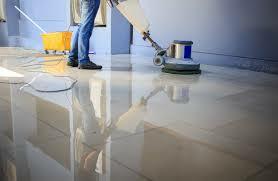 We are one of the top commercial cleaning services Chicago. Your business first impression when clients walk in is crucial to their buying experience and for employees the cleanliness of the workplace influences their performance. Clean working environment ensures concentration, care and productivity. At Quick Cleaning we guarantee that your facility will be maintained in optimum conditions throughout our cleaning cycles. How does our commercial cleaning service program work? First, we start with a thorough walk through of the facility. Second, we begin a detail-clean throughout your facility from top to bottom. Lastly, we make sure all is sparkling clean and deodorize to leave a pleasant clean smell. Thereafter, we’ll continue to maintain this detail-clean level throughout your routine cleaning schedule. You can count on our commercial cleaning services to keep your facility in great conditions. Maintaining a consistent Cleaning schedule will help to preserve the conditions of your facility. Additionally, it will also helps cut down costs associated with lapse in cleaning that typically require deep cleaning service that otherwise would be unnecessary if you maintain a regular cleaning schedule. So don’t wait and make Quick Cleaning your cleaning partner. Ready to book your commercial cleaning service chicago click here.